Foursquare, an App that tracks your movements and checkins, made a prediction on launch weekend iPhone 6s sales. It is a good PR to latch on to a major event to showcase their new entry into data analysis. This is also going to be used as an example of Big Data analysis. Since Foursquare has access to time series data on locations of its users, it is argued that they can put that data to work to “unlock value from it”. Combine this movement with location of stores, you have foot traffic information on stores which they believe is a powerful dataset. So our Place Insights team looked into foot traffic at Apple stores leading up to the launch of the iPhone 5, 5S, and 6 and analyzed it alongside Apple’s public sales data. Combining Foursquare’s foot traffic data with Apple’s sales data on a graph shows how closely the two are linked. Visit growth is clearly a strong general advance indicator for sales performance of the launch weekend. Does foot traffic mean sales? Isn’t it possible more simply visit the store during launch weekend to look at the new phones? What percentage of people who walk into Apple stores have Foursquare app? Is that a representative sample. What other factors will drive foot traffic? This time there is iPad Pro which is going to bring in more people who may want to see it in action. Problem with iPhone 5s data used by Foursquare. iPhone 5s was not offered for preorder and did not put up big numbers in its initial quarter. What percentage of iPhone sales happen in Apple stores? Even if we accept point 1 above we should scope the effect of Apple stores on total sales. According to a 2012 survey, Apple Stores accounted for just 21% of the iPhone Sales. Even if this is different for opening weekend that explains only portion of sales. More sales are shifting online. Apple said the online demand for iPhone 6s Plus has been exceptionally strong and exceeded their own forecasts for the preorder period. More sales happening though other channels. T-Mobile CEO stated iPhone 6s pre-orders on T-Mobile are up an impressive 30% compared to iPhone 6 pre-orders last year. Changes in pricing model affect sales. This year subscription pricing for iPhone 6s is available from all carriers and even from Apple. There is a price war on monthly subscription fee between T-Mobile and Sprint. These factors drive new customers that is going to increase launch weekend volume. China. China China. Last two times Apple did not launch in China at the same time. iPhone 6s was available in China at the same time as US. Finally there is no information on confidence level or likelihood information in the prediction. I give them credit for predicting a range vs. one absolute number. But they do not state at what confidence level. That is the difference between big data analysis vs. statistical analysis. What we have here is a faulty method that falls apart despite Foursquare’s access to largest database of information on the foot traffic of people around the globe. All that big data does not help them see Madagascar from San Diego. Could the rest of us make better predictions without the Big Data? Yes we can if we do scenario analysis with the new factors that affect iPhone 6s sales. And we can state not only a range but also at what confidence level. Big Data has applications but this is not it. Foursquare has bigger ambitions to monetize all their big data by making similar predictions for Marketing, Real Estate, Finance and Credit Scoring. 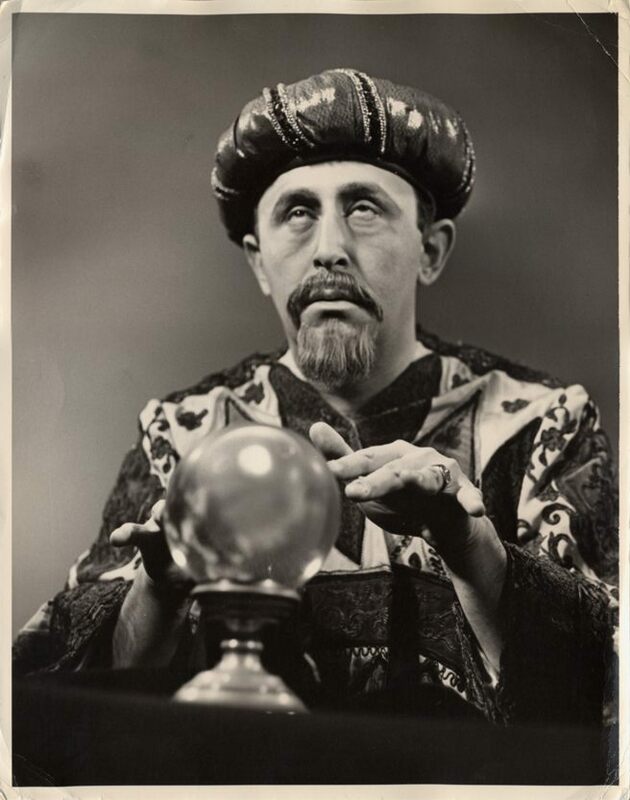 All these predictions will suffer from the same challenges unless you build a more comprehensive model with foot traffic data as just one part of prediction. Otherwise we will be looking for Shamu in Madagascar. Which one will have higher acceptance A) A random idea attributed to a popular Guru B) Popular Guru's idea attributed to a random person? BAILEY: Well, I think maybe too much mystique has built up about this picture, the “Mona Lisa.” I mean, it is after all the world’s most famous painting. But people don’t look at it fresh. They look at it almost as an icon. And if you go to the Louvre, people aren’t actually really looking at the painting. They just want to sort of be in the same room with it. And for me, the beauty of the copy is that it actually makes us look at the painting as a painting, and I hope it will have that effect on other people too. What Bailey says for world’s most famous painting and our reaction to it applies to famous ideas by famous gurus and our reactions to those. We don’t seem to look at the ideas as just an idea when it is uttered by someone popular or with status. As Galbraith wrote, anyone with position is assumed to be gifted with deep insights. We may not grasp the idea nor we may analyze whether or not it is applicable to our case. But we just want to be part of the “conversation”. We tweet, retweet and write about it just to be in the same room as the Guru and his idea. What if we are able to separate the idea from the one who said it? What if I copied the idea of a Guru, word for word, intonation for intonation and stated it as mine? Will the mere act of copying make it stand alone? Will we see the idea for what it is with all its biases? Very likely a true statement. But is it relevant? A single tablet of most such supplements has 1000mg of Vitamin-C and a single 8oz glass of orange juice has 30-60mg. So a gallon bottle has 480-960mg of Vitamin-C. So a true claim. What is our daily need for Vitamin-C? About 30mg. What will your body do with all those extra 970mg of Vitamin-C but to excrete it? Even if our body keeps the additional 970mg, what benefit comes of it? or worse, what are the side effects? What about other nutrients present in the glass of orange juice that are not accounted for? This is clever messaging, focusing customers attention on metrics that are readily available, prominent, convenient and advantageous to you even though the metrics may be completely irrelevant. It is easy to dismiss such metrics when the claims are outrageous, when someone without authority/power/pedigree states them or after someone breaks it down. However, what if such a claim is stated by someone in authority, with pedigree/title or with some semblance of data and analysis? Group Buying sites that tout their ability to deliver an year worth of traffic to businesses – But at what cost? Marketing Managers who quote the number of times their product story was quoted in media and blogs – But at what cost and what is the incremental revenue? A Social Media guru urging businesses to invest in social media presence and measure the investment’s sucess with a new metric “Return on Engagement” – But at what cost and what is the incremental revenue? Shifting investor and market’s attention to growth in deferred revenue – but what if it came from pulling in future sales at a discount? Proponents of such spurious metric and their followers are likely to answer the cost and incremental revenue question with, “in the long term it will pay off”. Your questions should be, How long a long term?, What other options would deliver the same “long term return”?, What is the long-term return? Do you measure what is relevant or what is prominent, convenient, available, magical and irrelevant?